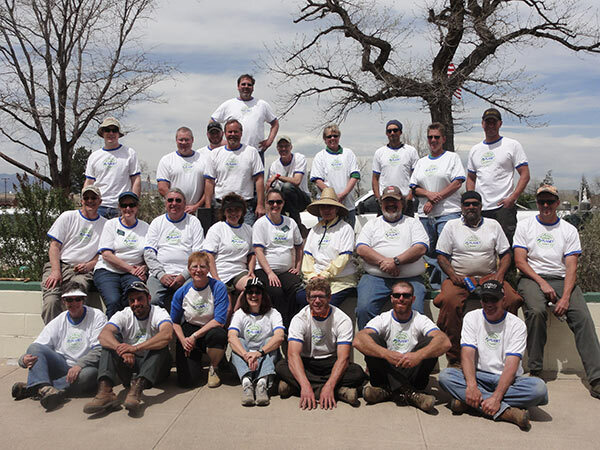 On April 25 about 30 lawn and tree care professionals from the Colorado Association of Lawn Care Professionals worked for the 6th year to continue renovating Riverside Cemetery in Denver. Tree trimming, tree removal, planting native grasses on three acres, fertilization and cleaning of garden beds were some of the chores performed that day. The value of work completed and donations exceeded $10,000.00. The Fairmount Heritage Foundation provided lunch and snacks for the volunteers. Companies who sent crews and equipment for the work day included: The Davey Tree Expert Company, Swingle Tree, Lawn & Landscape Company, Mountain High Tree, Lawn & Landscape Company, Helena Chemical Company, John Deere Landscapes, Green Mountain Lawn & Tree Care, Terra Care Associates, and Thunderbird Design. Donors who provided supplies and equipment included: Alpha One Fertilizers, Helena Chemical Company, L.L. 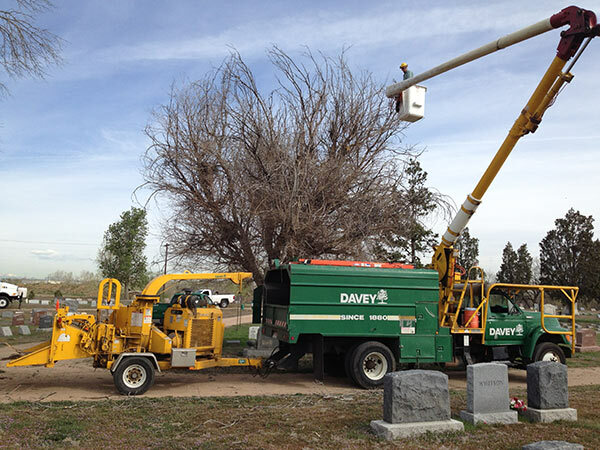 Johnson Distributing Co, Pawnee Buttes Seed Company, Professional Tree & Turf Equipment, Revive, and Welby Gardens. Several master gardeners also were on hand to assist.